How about an exotic carpet ride through Arabian Nights? 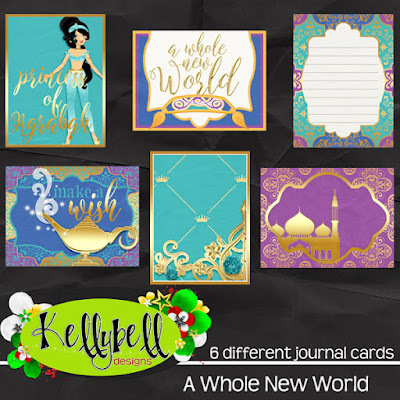 This week Kelly has a new kit called A Whole New World that celebrates Princess Jasmine and her adventures. It's perfect for Agrabah meet and greets, The Magic Carpets of Aladdin ride pictures and scenes from around World Showcase's Morocco. 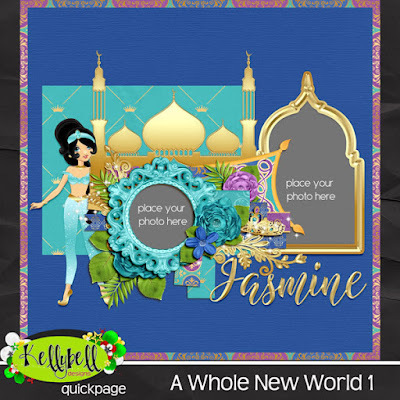 You will want to have the whole collection, so make sure you also pick up the Page Starters, Word Art, and Journal Cards. 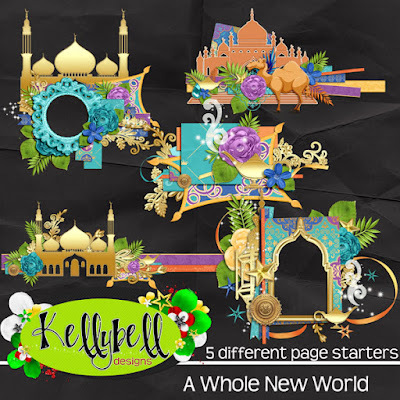 Kelly has also made some beautiful Quick Pages so that you can pull your layouts together in no time at all! 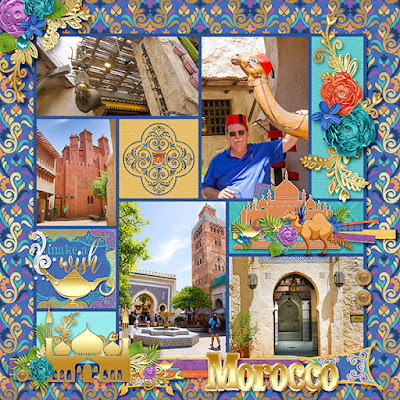 The kit contains 15 patterned papers of royal purple, blue, orange and gold. There is a full shining, shimmering gold alpha. 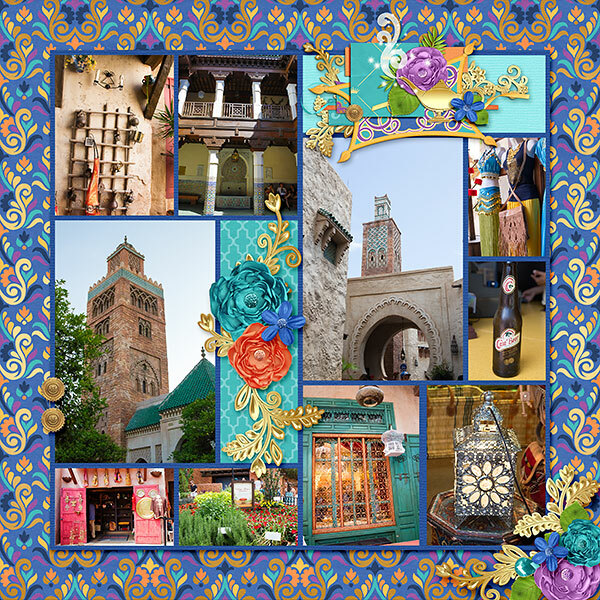 Inside you will also find unique elements including a bazaar, castle, camel, carpets, crown, gems, genie lamp and smoke, lantern, Jasmine doll, palm fronds, stars, medallions, magic dust, word art and more! 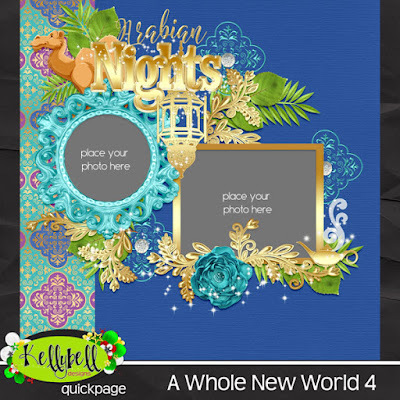 Now how about some freebies to coordinate with this new kit? 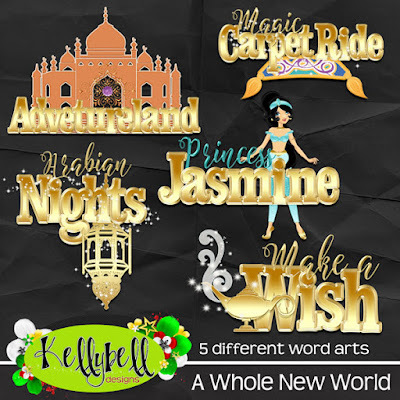 You can find one on Julie's blog, and another by Debbie on the I 💗 Kellybell Designs Facebook Page. Make sure you join the group if you have not already. Have a great weekend and happy scrapping!